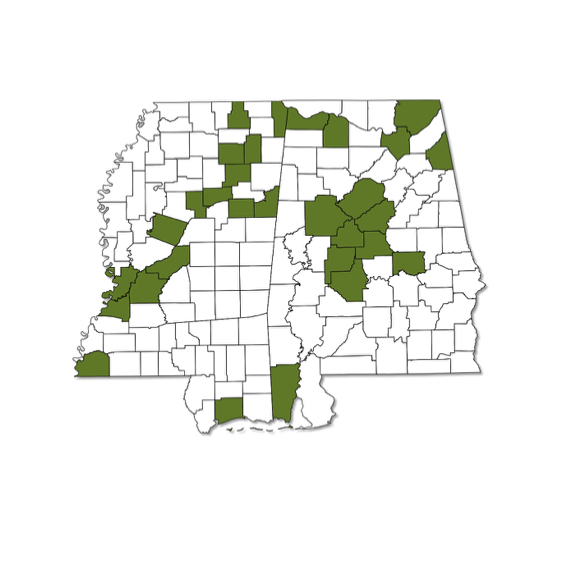 This species is probably found throughout both Alabama and Mississippi but is not commonly seen. 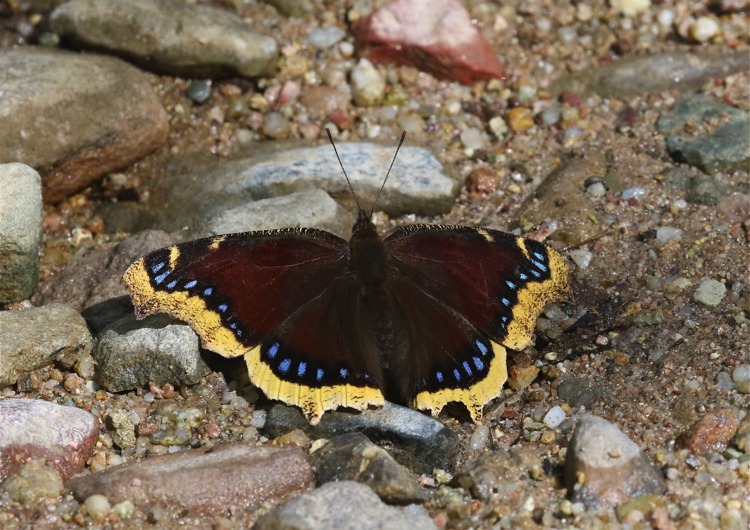 Adults may live up to 10 months; emerging from the chrysalis in summer, hibernating over the winter, and then flying again in spring and early summer. Easily recognized by its maroon-brown background with a submarginal band of blue spots and a marginal band of gold on the dorsal surface. 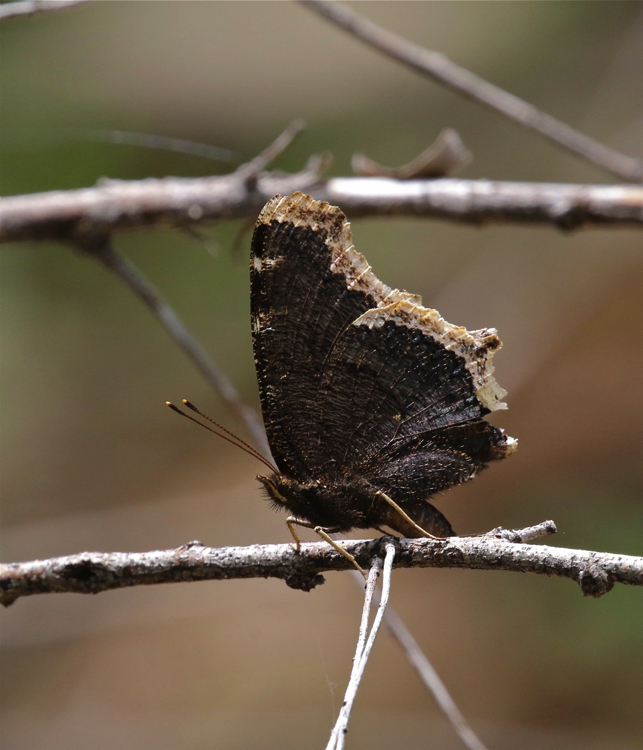 The ventral surface is darker and provides more camouflage but has a pale border on both the fore and hindwings.